A dental surgeon who is also known as dentist is a medical practitioner who is specialized in the diagnosis, prevention and treatment of diseases of oral cavity of the teeth. The dental team includes dental assistants, dental hygienists, dental technicians, and dental therapists. 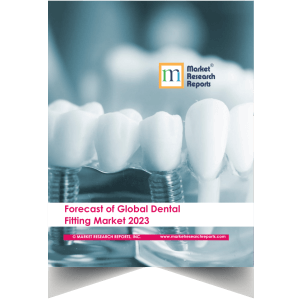 The worldwide market for Dental Fitting is expected to grow at a CAGR of roughly 4.5% over the next five years, will reach 3420 million US$ in 2023, from 2630 million US$ in 2017, according to a new study. A dentist who is practicing general dentistry will provide amalgam and composite fillings, regular teeth cleanings, cosmetic dentistry, root canals, sealants, oral surgery, gum disease treatment, temporomandibular joint or TMJ therapy, crowns and bridges, dentures, extractions and dental implants. Endodontic – The dentist is specialized in root canal therapy and study of diseases of the dental pulp. Oral and maxillofacial surgery – The dentist is specialized in extractions, implants, and maxillofacial surgery which also include correction of congenital facial deformities. Orthodontics and dentofacial orthopaedics – The dentist is specialized in the straightening of teeth and modification of midface and mandibular growth. Periodontology or periodontics – The dentist is specialized in the treatment of diseases of the gums as well as placement and maintenance of dental implants. Pediatric dentistry or pedodontics – It is the dentistry for children. Prosthodontics – The dentist is specialized in dentures, bridges and the restoration of implants. Veterinary dentistry – Is a field of dentistry applied to the care of animals. Dental industry includes firms of health practitioners that have a degree of Doctor of Dental Medicine i.e. DDM, Doctor of Dental Surgery i.e. DDS or Doctor of Dental Science i.e. DDSc. 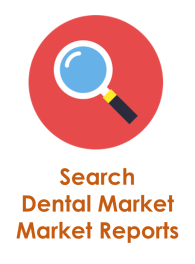 The dental industry firms are mostly engaged in the independent practice of general or specialized dentistry or dental surgery. These practitioners can operate privately or as a group practice in their own offices for example hospital centres or clinics. 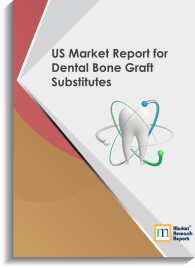 Dental hospitals providing outpatient services are also included in the industry. The two most common forms of oral health disease are periodontal diseases also called as gum diseases and dental cavities. To treat these dental diseases and other oral problems, a full range of dental equipment exists. The dental industry product category include laboratory machines, hygiene equipment and other general dental care products such as tooth brushes, tooth paste etc. As per the reports given by IBIS world, The Dental Services industry in Australia is expected to generate revenue of $6.56 billion in 2012-13, representing growth of 2.5% from the previous year. Industry revenue is expected to grow at an annualised 3.7% in the five years through 2012-13. Some of the major global dental industry players are 3M, Biomet, Inc., Biomet 3i LLC, BioHorizons, Inc., Sybron Dental Specialties, Inc., Thommen Medical AG, Zimmer Holdings, Inc., and Zimmer Dental, Inc.